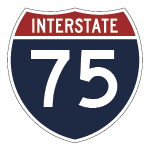 Lucas County (485-14, 536-14): Through September 2018, overnight, 7pm through 6am, single lane restrictions are possible on I-75, from I-475 in Toledo to I-280 for widening and bridge work. Tonight at 10pm, through Friday, September 22 at 6am, the ramp from northbound I-75 to Stickney Avenue (Exit 207), will be closed for lighting installation. Detour: northbound I-75; Alexis Road (Exit 210); southbound I-75; Lagrange Street (Exit 207); Manhattan Boulevard; Stickney Avenue. Additionally at this time, lane restrictions are possible on northbound I-280 and I-75, between Manhattan Boulevard and Ottawa River Road, for lighting installation. Effective Friday, September 22 at 10pm, through Sunday, September 24 at 6am, lane restrictions are possible on northbound I-75, between Lagrange Street and I-280, for lighting installation. Through September, southbound I-75, between Ottawa River Road and I-280, is reduced to two lanes for pavement installation. Tonight at 8pm through Friday, September 22 at 7am, and from Tuesday, September 26 at 8pm, through Wednesday, September 27 at 7am, Berdan Avenue, between Haverhill Drive and Detroit Avenue, will be closed for bridge work. Detour: Phillips Avenue; Detroit Avenue; Central Avenue. Additionally at those times, Jeep Parkway, between Willy’s Parkway and Berdan Avenue, will be closed for bridge work. Detour: southbound Jeep Parkway; Central Avenue; Detroit Avenue; Phillips Avenue; Haverhill Drive. Through September, South Expressway Drive is restricted to a single lane between Stickney Avenue and Lagrange Street. Through September, Elm Street and Wersell Avenue at South Expressway Drive, are closed. Through September, northbound Detroit Avenue under I-75 will be reduced to one lane for bridge work. Lucas County (520-16): Through September, shoulder and single lane restrictions are possible on I-75, between I-280 and the Ohio/Michigan state line, for noise wall repair and sign installation. Project complete: September. All work is weather permitting. Lucas County (171-17): Through September, shoulder restrictions are possible on northbound I-75, between I-280 and Ottawa River Road, for slide repair. Additional restrictions may be announced. Project complete: October. All work is weather permitting. Lucas County: Effective Sunday, September 24 through October, nightly from 9pm until 6am, I-75, between US 20 and Miami Street, may be reduced to one lane for crack sealing. Additionally at this time, intermittent ramp closures are possible. Seek alternate route. All work is weather permitting. 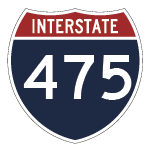 Lucas County (497-16): Through September, nightly from 9pm until 7am, lane restrictions are possible on I-475, between Monclova Road and Central Avenue, for resurfacing. Additional lane and ramp restrictions may be announced. Project complete: September. All work is weather permitting. Lucas County (210-15): Through September, Central Avenue, between McCord Road and Van Fleet Parkway, may be reduced to one lane for finish work. Through September, lane restrictions are possible on I-475/US 23, between Dorr Street and N. Holland Sylvania Road. Project complete: September. All work is weather permitting. Lucas County (248-17): Through September, shoulder restrictions are possible on northbound US 23, between Holland Sylvania Road and Monroe Street, for bridge rehabilitation. 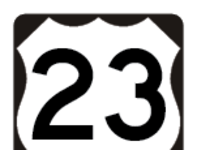 Through September, nightly from 8pm until 6am, shoulder and lane restrictions are possible on northbound US 23, between Holland Sylvania Road and Monroe Street, for bridge rehabilitation. Project complete: October. All work is weather permitting. Lucas County (550-16): Through September, lane restrictions are possible on I-75, between Detroit Avenue (Exit 203B) and Collingwood Boulevard (Exit 202B), for bridge work. Through September, lane restrictions are possible on Monroe Street/SR 51 over I-75, for finish work. Project complete: October. All work is weather permitting. Lucas County (622-16): Through September, lane restrictions are possible on SR 295, between South River Road and SR 64, for finish work. Traffic will be maintained by flaggers. Project complete: November. All work is weather permitting. 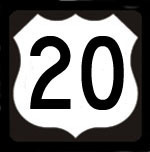 Wood and Lucas Counties (8004-17): SR 295, between South River Road and Front Street over the Maumee River, is open. Through September, lane restrictions are possible for finish work. Project complete: September. All work is weather permitting. Lucas County (289-16): Through September, Bowen road, between Groveland Road and Langenderfer Drive, will be closed for bridge painting. Detour: Groveland Road; Rushland Avenue. Project complete: June 2018. All work is weather permitting.